In short, the Crown, in right of New Zealand, is not only Māori, but must also be Māori speaking. In view of New Zealand’s bicultural (and bilingual) legal history, this is not as merely ‘aspirational’ as might be presumed. 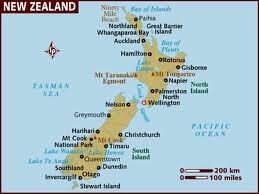 In early 2013, a new dictionary will be published in New Zealand. This dictionary will be a bilingual Māori-English language dictionary. Nothing unusual about that; there are quite a few Māori dictionaries about. Nor is the fact that this particular dictionary is a legal dictionary particularly strange; the world is well served with those, even in regards to New Zealand legal English. The Legal Māori Dictionary is relatively unusual, however, for combining these two characteristics. There are, as yet, not many indigenous language legal dictionaries, or indigenous legal language projects around the world. Of course, there are some fascinating indigenous legal language projects, such as the rich searchable collection of native Hawaiian legal documents available through the Ka Huli Ao Digital Archives under the auspices of the Ka Huli Ao Center for Excellence in Native Hawai`ian Law. An extensive Irish Language Legal Terminology derived from the bilingual Acts of the Irish parliament has also been made publicly available. In Australia, some exciting work has been done with identifying legal glossaries in a number of aboriginal languages including Yolngu Matha and Murrinh-Patha from the Northern Territory. Not infrequently, such glossaries and terminologies are the result of dedicated workshops, often government funded, set up in order to create a functional lexicon for use in the state legal system by speakers of the target indigenous language, as in the case of the English-Inuktitut-French Legal Glossary released in 1997 by the Nunavut Translator/Interpreter program at Nunavut Arctic College. An earlier but similar project for the Navajo language was published in 1989 by the US District Court for the District of New Mexico, and is still made publicly available by the Judicial Branch of the Navajo Nation. A more recent example is the extensive Sámi legal terminology that has been worked up over recent years and made available online by translators and interpreters working on the translation of state legal documents into Sámi for Sámi-speaking populations of Norway, Finland, Denmark and Sweden. So, we at the Legal Māori Project, and our Legal Māori Dictionary, are in good, if select, company. But every legal lexicography project has a unique whakapapa (genealogy) and characteristics that somehow reflect the lived histories of the people who belong to each language. To briefly outline our whakapapa then. The Legal Māori Project, as established in 2008 in the Law Faculty of Victoria University of Wellington, seeks to achieve two primary aims: • A long-term goal of normalizing the use of the Māori language within the New Zealand legal system; and ultimately, the public, civic sphere of New Zealand society. Māori must claim its place as an ordinary language of the enactment of state law, of government, administration, politics and the economy; • A shorter-term aim of providing bilingual Māori speakers with a resource that can help such speakers can effectively and feasibly choose to use Māori rather than English in that legal system. Such ease of choice is critically important for effective language revitalisation. The Legal Māori has received four years of public funding for our research from New Zealand’s Ministry of Science and Innovation. Rather than create a legal terminology from scratch, however, we thought it absolutely necessary to carry out a kind of textual excavation of the rich, but mainly hidden Māori-language documents of New Zealand’s bilingual and bicultural legal history. We were aware that there are several thousand pages of publicly available, printed, Māori language documents discussing, applying, translating, critiquing and interpreting Western legal concepts. These documents are available, but sequestered in public repositories such as the Alexander Turnbull Library. In the face of such a rich treasure trove of texts, we considered our best approach was to be a corpus-based one. We would build a body of digitized Māori language texts that we could analyse to identify the kinds of words and phrases that Māori speakers and writers of the past 180 years had been using in those texts. By June 2011, the texts we found and, in crucial partnership with the New Zealand Electronic Text Centre, digitized, totaled 8 million word tokens; the largest purpose-built and structured corpus of Māori language texts known. The pre-1910 texts of the Legal Māori Corpus are publicly available for download, with the remainder of the texts to be made available by the end of this year. 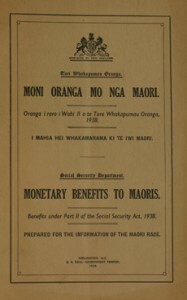 The Legal Māori Corpus contains printed texts of the following kinds of historical documents, most of which are also available online in the land title system. 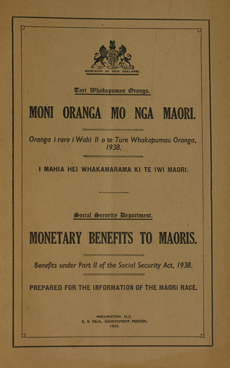 Some documents might be more accurately described strategic documents issued by government departments in Māori, such as Māori language versions of statements of intent. These documents taken as a whole provide an incredible opportunity to examine the evolution of an endangered language as it wrestles with the lexicon and conceptual world of the dominant language and that language’s culture. Therefore, the collated texts from the Corpus were examined to find how various words and phrases have been used to express Western legal ideas. Over the past two years we have been identifying those words and phrases; first, to come up with a useful lexicon of possible legal Māori terms, and then, to test and validate those lexicon terms in order choose the terms that are now to form to the base of the Legal Māori Dictionary itself. With the invaluable design, by Dave Moskovitz of ThinkTank Ltd, of an open-source, easy-to-use web-based text browser and dictionary writing system called Freelex, we are now compiling our dictionary entries. As mentioned above, our purpose has always been to create a dictionary of Māori language terms to express Western legal concepts. Customary Māori legal language had been explored in-depth in other scholarship. For example, customary Māori legal concepts have been investigated by the FRST funded work undertaken by Te Mātāhauāriki Institute based at Waikato University in developing a compendium of customary Māori legal terms: Te Mātāpunenga. Choosing to focus on the expression of Western legal ideas in Māori, however, exposed us to the considerable risk that English meanings and concepts would drive the content of our dictionary. Indeed we expected such English conceptual dominance. However, the pilot stages and subsequent corpus-based work showed that Māori customary legal vocabulary had a far stronger presence in the terms we were identifying than had been expected. In fact, many of the words in te reo Māori (the Māori language) that have been used to describe traditional Māori legal concepts are also terms within legal Māori terminology, communicating Western legal ideas. (Some examples are mana, roughly glossed as ‘authority’; tikanga, or the ‘correct way of doing things’; and rangatiratanga which can be equated to ‘chieftainship’.) The Legal Māori Project then must reflect two very important aspects of legal Māori vocabulary: customary legal meaning and Western legal meaning. A core set of customary legal terms that had acquired further Western legal senses over the past 180 years could in fact be identified within the lexicon of legal terms that were being derived from the corpus itself. In view of this insight, we decided that the idea of identifying a finite set of core customary legal terms could form part of a methodology that would enable Māori ideas and Māori legal thinking, alongside Western legal thinking, to take centre stage in our dictionary generation and formatting. The methodology used by the Legal Māori Project team is one that therefore pays careful attention to both the Western and customary law aspects of a significant, identifiable core of traditional Māori law terms. The team identified that if customary legal and western legal aspects of core terms are accounted for in the selection, formatting, and organisation of the dictionary entries, English glosses and English ideas are less likely to subvert Māori ideas and the Māori language basis of the dictionary as a whole. To provide a practical example of how we attempted to incorporate such prioritization in the design of the Legal Māori Dictionary, the following draft entry for taonga might be useful. 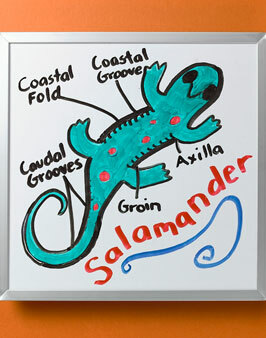 It comes from the sample dictionary released in June 2010. Many typical dictionary elements have been used in this draft entry. For example, distinct verb senses have been identified and numbered. The grammatical function of each sense is identified, and the primary usage (here referring to taonga being primarily a customary term) identified. It also includes a one-word English gloss for each sense and some further explanation in English of how the term is used in a technical way (preceded by ☼). Finally, the entry includes a usage example for each term and short code references for each example, which will enable the user to find the original text. The opening sentence at the top of the entry will be shaded in its final printed form, and will thereby be a new addition to the formatting of our dictionary articles. We have labeled this feature the whakamaramatanga (‘clarification’) field, where a very brief explanation is given of the all-important customary context for the term with a reference to further reading for those readers wanting to find out more about the concept. The reference is to the Matapunenga compendium (to be published at roughly at the same time as the Legal Māori Dictionary). These small additions to the traditional dictionary entry, must be taken in conjunction with all the work carried out by the Legal Māori Project to date. Ultimately we hope that our experience in designing and producing our outputs, including the dictionary, might assist the designers of other specialist dictionaries or lexicons of indigenous languages to pay appropriate deference to the customary concepts of those languages, where possible and practicable. And, above all, just maybe our work will help Māori speakers to choose to use their own language in precisely those domains where they are simply not expected to, or in the view of some, supposed to. And when that happens, a Māori-speaking Crown doesn’t seem so difficult after all. Thanks to Māori.org.nz for the Māori images used here. After some years working in the New Zealand Department of Corrections and Māori broadcasting, Māmari completed an MA (Distinction) in Classical Studies, BA (Hons), and an LLB (Hons) at Victoria University. She then spent three and a half years at New Zealand’s largest law firm, Russell McVeagh, in Wellington, working in the Māori legal team in the Corporate Advisory Group. Māmari has been with the School of Law since January 2006 and, with Assistant Professor Mary Boyce of the University of Hawai’i, runs the Legal Māori Project. Her primary research interests are law and language, Māori and the New Zealand legal system, and social security law. Māmari is married to Maynard Gilgen and has two sons, Te Rangihuia (9) Havelund (5) and a daughter, Jessica-Lee Ngātaiotehauauru, born in November 2009. The organization and formalization of legal information for computer processing in order to support decision-making or enhance information search, retrieval and knowledge management is not recent, and neither is the need to represent legal knowledge in a machine-readable form. Nevertheless, since the first ideas of computerization of the law in the late 1940s, the appearance of the first legal information systems in the 1950s, and the first legal expert systems in the 1970s, claims, such as Hafner’s, that “searching a large database is an important and time-consuming part of legal work,” which drove the development of legal information systems during the 80s, have not yet been left behind. Similar claims may be found nowadays as, on the one hand, the amount of available unstructured (or poorly structured) legal information and documents made available by governments, free access initiatives, blawgs, and portals on the Web will probably keep growing as the Web expands. And, on the other, the increasing quantity of legal data managed by legal publishing companies, law firms, and government agencies, together with the high quality requirements applicable to legal information/knowledge search, discovery, and management (e.g., access and privacy issues, copyright, etc.) 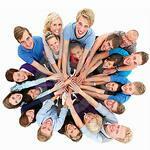 have renewed the need to develop and implement better content management tools and methods. Information overload, however important, is not the only concern for the future of legal knowledge management; other and growing demands are increasing the complexity of the requirements that legal information management systems and, in consequence, legal knowledge representation must face in the future. Multilingual search and retrieval of legal information to enable, for example, integrated search between the legislation of several European countries; enhanced laypersons’ understanding of and access to e-government and e-administration sites or online dispute resolution capabilities (e.g., BATNA determination); the regulatory basis and capabilities of electronic institutions or normative and multi-agent systems (MAS); and multimedia, privacy or digital rights management systems, are just some examples of these demands. How may we enable legal information interoperability? How may we foster legal knowledge usability and reuse between information and knowledge systems? How may we go beyond the mere linking of legal documents or the use of keywords or Boolean operators for legal information search? How may we formalize legal concepts and procedures in a machine-understandable form? In short, how may we handle the complexity of legal knowledge to enhance legal information search and retrieval or knowledge management, taking into account the structure and dynamic character of legal knowledge, its relation with common sense concepts, the distinct theoretical perspectives, the flavor and influence of legal practice in its evolution, and jurisdictional and linguistic differences? These are challenging tasks, for which different solutions and lines of research have been proposed. Here, I would like to draw your attention to the development of semantic solutions and applications and the construction of formal structures for representing legal concepts in order to make human-machine communication and understanding possible. For example, in the search and retrieval area, we still perform nowadays most legal searches in online or application databases using keywords (that we believe to be contained in the document that we are searching for), maybe together with a combination of Boolean operators, or supported with a set of predefined categories (metadata regarding, for example, date, type of court, etc. ), a list of pre-established topics, thesauri (e.g., EuroVoc), or a synonym-enhanced search. These searches rely mainly on syntactic matching, and — with the exception of searches enhanced with categories, synonyms, or thesauri — they will return only documents that contain the exact term searched for. To perform more complex searches, to go beyond the term, we require the search engine to understand the semantic level of legal documents; a shared understanding of the domain of knowledge becomes necessary. Thus, the Semantic Web is envisaged as an extension of the current Web, which now comprises collaborative tools and social networks (the Social Web or Web 2.0). The Semantic Web is sometimes also referred to as Web 3.0, although there is no widespread agreement on this matter, as different visions exist regarding the enhancement and evolution of the current Web. Thus, to allow semantics to be added to the current Web, new languages and tools (ontologies) were needed, as the development of the Semantic Web is based on the formal representation of meaning in order to share with computers the flexibility, intuition, and capabilities of the conceptual structures of human natural languages. 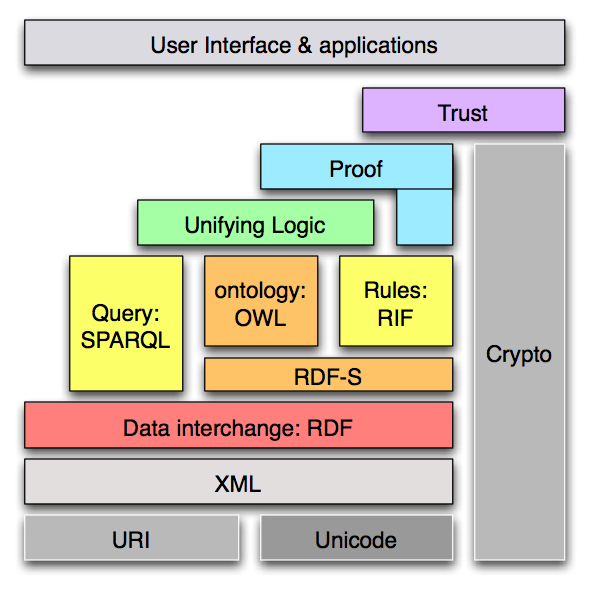 In the subfield of computer science and information science known as Knowledge Representation, the term “ontology” refers to a consensual and reusable vocabulary of identified concepts and their relationships regarding some phenomena of the world, which is made explicit in a machine-readable language. Ontologies may be regarded as advanced taxonomical structures, where concepts are formalized as classes and defined with axioms, enriched with the description of attributes or constraints, and properties. The task of developing interoperable technologies (ontology languages, guidelines, software, and tools) has been taken up by the World Wide Web Consortium (W3C). 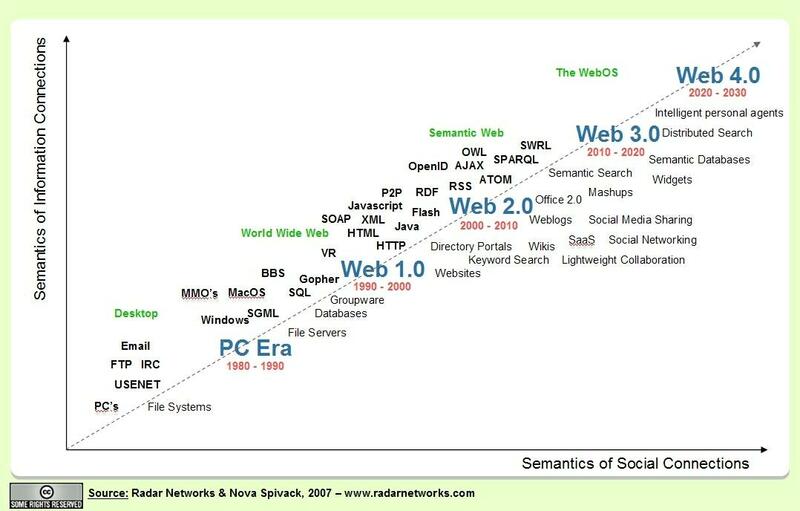 These technologies were arranged in the Semantic Web Stack according to increasing levels of complexity (like a layer cake). In this stack, higher layers depend on lower layers (and the latter are inherited from the original Web). These languages include XML (eXtensible Markup Language), a superset of HTML usually used to add structure to documents, and the so-called ontology languages: RDF/RDFS (Resource Description Framework/Schema), OWL, and OWL2 (Ontology Web Language). While the RDF language offers simple descriptive information about the resources on the Web, encoded in sets of triples of subject (a resource), predicate (a property or relation), and object (a resource or a value), RDFS allows the description of sets. OWL offers an even more expressive language to define structured ontologies (e.g. class disjointess, union or equivalence, etc. Moreover, a specification to support the conversion of existing thesauri, taxonomies or subject headings into RDF triples has recently been published: the SKOS, Simple Knowledge Organization System standard. These specifications may be exploited in Linked Data efforts, such as the New York Times vocabularies. Also, EuroVoc, the multilingual thesaurus for activities of the EU is, for example, now available in this format. the FOAF (Friend of a Friend) ontology. 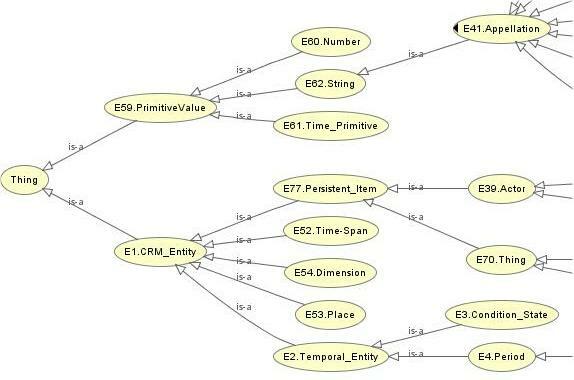 Although most domains are of interest for ontology modeling, the legal domain offers a perfect area for conceptual modeling and knowledge representation to be used in different types of intelligent applications and legal reasoning systems, not only due to its complexity as a knowledge intensive domain, but also because of the large amount of data that it generates. The use of semantically-enabled technologies for legal knowledge management could provide legal professionals and citizens with better access to legal information; enhance the storage, search, and retrieval of legal information; make possible advanced knowledge management systems; enable human-computer interaction; and even satisfy some hopes respecting automated reasoning and argumentation. Regarding the incorporation of legal knowledge into the Web or into IT applications, or the more complex realization of the Legal Semantic Web, several directions have been taken, such as the development of XML standards for legal documentation and drafting (including Akoma Ntoso, LexML, CEN Metalex, and Norme in Rete), and the construction of legal ontologies. During the last decade, research on the use of legal ontologies as a technique to represent legal knowledge has increased and, as a consequence, a very interesting debate about their capacity to represent legal concepts and their relation to the different existing legal theories has arisen. It has even been suggested that ontologies could be the “missing link” between legal theory and Artificial Intelligence. The literature suggests that legal ontologies may be distinguished by the levels of abstraction of the ideas they represent, the key distinction being between core and domain levels. Legal core ontologies model general concepts which are believed to be central for the understanding of law and may be used in all legal domains. In the past, ontologies of this type were mainly built upon insights provided by legal theory and largely influenced by normativism and legal positivism, especially by the works of Hart and Kelsen. Thus, initial legal ontology development efforts in Europe were influenced by hopes and trends in research on legal expert systems based on syllogistic approaches to legal interpretation. More recent contributions at that level include the LKIF-Core Ontology, the LRI-Core Ontology, the DOLCE+CLO (Core Legal Ontology), and the Ontology of Fundamental Legal Concepts. Such ontologies usually include references to the concepts of Norm, Legal Act, and Legal Person, and may contain the formalization of deontic operators (e.g., Prohibition, Obligation, and Permission). Thus, there are many approaches to the development of legal ontologies. Nevertheless, in the current legal ontology literature there are few explicit accounts or insights into the methods researchers use to elicit legal knowledge, and the accounts that are available reflect a lack of consensus as to the most appropriate methodology. For example, some accounts focus solely on the use of text mining techniques towards ontology learning from legal texts; while others concentrate on the analysis of legal theories and related materials to extract and formalize legal concepts. Moreover, legal ontology researchers disagree about the role that legal experts should play in ontology development and validation. In this regard, at the Institute of Law and Technology, we are developing a socio-legal approach to the construction of legal conceptual models. This approach stems from our collaboration with firms, government agencies, and nonprofit organizations (and their experts, clients, and other users) for the gathering of either explicit or tacit knowledge according to their needs. This empirically-based methodology may require the modeling of legal knowledge in practice (or professional legal knowledge, PLK), and the acquisition of knowledge through ethnographic and other social science research methods, together with the extraction (and merging) of concepts from a range of different sources (acts, regulations, case law, protocols, technical reports, etc.) and their validation by both legal experts and users. 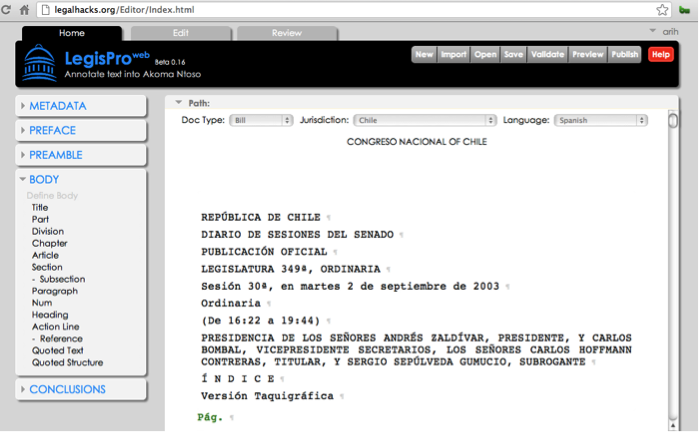 For example, the Ontology of Professional Judicial Knowledge (OPJK) was developed in collaboration with the Spanish School of the Judicary to enhance search and retrieval capabilities of a Web-based frequentl- asked-question system (IURISERVICE) containing a repository of practical knowledge for Spanish judges in their first appointment. The knowledge was elicited from an ethnographic survey in Spanish First Instance Courts. On the other hand, the Neurona Ontologies, for a data protection compliance application, are based on the knowledge of legal experts and the requirements of enterprise asset management, together with the analysis of privacy and data protection regulations and technical risk management standards. This approach tries to take into account many of the criticisms that developers of legal knowledge-based systems (LKBS) received during the 1980s and the beginning of the 1990s, including, primarily, the lack of legal knowledge or legal domain understanding of most LKBS development teams at the time. These criticisms were rooted in the widespread use of legal sources (statutes, case law, etc.) directly as the knowledge for the knowledge base, instead of including in the knowledge base the “expert” knowledge of lawyers or law-related professionals. Further, in order to represent knowledge in practice (PLK), legal ontology engineering could benefit from the use of social science research methods for knowledge elicitation, institutional/organizational analysis (institutional ethnography), as well as close collaboration with legal practitioners, users, experts, and other stakeholders, in order to discover the relevant conceptual models that ought to be represented in the ontologies. Moreover, I understand the participation of these stakeholders in ontology evaluation and validation to be crucial to ensuring consensus about, and the usability of, a given legal ontology. Although the use of ontologies and the implementation of the Semantic Web vision may offer great advantages to information and knowledge management, there are great challenges and problems to be overcome. First, the problems related to knowledge acquisition techniques and bottlenecks in software engineering are inherent in ontology engineering, and ontology development is quite a time-consuming and complex task. Second, as ontologies are directed mainly towards enabling some communication on the basis of shared conceptualizations, how are we to determine the sharedness of a concept? And how are context-dependencies or (cultural) diversities to be represented? 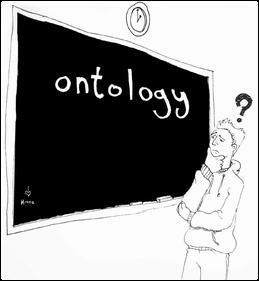 Furthermore, how can we evaluate the content of ontologies? Current research is focused on overcoming these problems through the establishment of gold standards in concept extraction and ontology learning from texts, and the idea of collaborative development of legal ontologies, although these techniques might be unsuitable for the development of certain types of ontologies. Also, evaluation (validation, verification, and assessment) and quality measurement of ontologies are currently an important topic of research, especially ontology assessment and comparison for reuse purposes. Regarding ontology reuse, the general belief is that the more abstract (or core) an ontology is, the less it owes to any particular domain and, therefore, the more reusable it becomes across domains and applications. This generates a usability-reusability trade-off that is often difficult to resolve. Finally, once created, how are these ontologies to evolve? 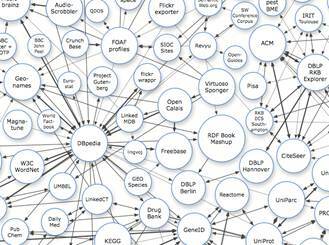 How are ontologies to be maintained and new concepts added to them? Over and above these issues, in the legal domain there are taking place more particularized discussions: for example, the discussion of the advantages and drawbacks of adopting an empirically based perspective (bottom-up), and the complexity of establishing clear connections with legal dogmatics or general legal theory approaches (top-down). To what extent are these two different perspectives on legal ontology development incompatible? How might they complement each other? What is their relationship with text-based approaches to legal ontology modeling? I would suggest that empirically based, socio-legal methods of ontology construction constitute a bottom-up approach that enhances the usability of ontologies, while the general legal theory-based approach to ontology engineering fosters the reusability of ontologies across multiple domains. The scholarly discussion of legal ontology development also embraces more fundamental issues, among them the capabilities of ontology languages for the representation of legal concepts, the possibilities of incorporating a legal flavor into OWL, and the implications of combining ontology languages with the formalization of rules. Finally, the potential value to legal ontology of other approaches, areas of expertise, and domains of knowledge construction ought to be explored, for example: pragmatics and sociology of law methodologies, experiences in biomedical ontology engineering, formal ontology approaches, and the relationships between legal ontology and legal epistemology, legal knowledge and common sense or world knowledge, expert and layperson’s knowledge, legal information and Linked Data possibilities, and legal dogmatics and political science (e.g., in e-Government ontologies). As you may see, the challenges faced by legal ontology engineering are great, and the limitations of legal ontologies are substantial. Nevertheless, the potential of legal ontologies is immense. I believe that law-related professionals and legal experts have a central role to play in the successful development of legal ontologies and legal semantic applications. 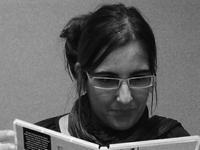 Dr. Núria Casellas is a visiting researcher at the Legal Information Institute at Cornell University. She is a researcher at the Institute of Law and Technology and an assistant professor at the UAB Law School (on leave). She has participated in several national and European-funded research projects regarding legal ontologies and legal knowledge management: these concern the acquisition of knowledge in judicial settings (IURISERVICE), modeling privacy compliance regulations (NEURONA), drafting legislation (DALOS), and the Legal Case Study of the Semantically Enabled Knowledge Technologies (SEKT VI Framework project), among others. Co-editor of the IDT Series, she holds a Law Degree from the Universitat Autònoma de Barcelona, a Master’s Degree in Health Care Ethics and Law from the University of Manchester, and a PhD (“Modelling Legal Knowledge through Ontologies. OPJK: the Ontology of Professional Judicial Knowledge”). 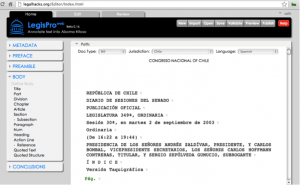 Semantic Enhancement of Legal Information… Are We Up for the Challenge? Nowadays, in the search and retrieval area, we still perform most legal searches in online or application databases using keywords (that we believe to be contained in the document that we are searching for), maybe together with a combination of Boolean operators, or supported with a set of predefined categories (metadata regarding, for example, date, type of court, etc. ), a list of pre-established topics, thesauri (e.g., EUROVOC), or a synonym-enhanced search. Thus, the Semantic Web (including Linked Data efforts or the Web of Data) is envisaged as an extension of the current Web, which now also comprises collaborative tools and social networks (the Social Web or Web 2.0). The Semantic Web is sometimes also referred to as Web 3.0, although there is no widespread agreement on this matter, as different visions exist regarding the enhancement and evolution of the current Web. Towards that shift, new languages and tools (ontologies) were needed to allow semantics to be added to the current Web, as the development of the Semantic Web is based on the formal representation of meaning in order to share with computers the flexibility, intuition, and capabilities of the conceptual structures of human natural languages. In the subfield of computer science and information science known as Knowledge Representation, the term “ontology” refers to a consensual and reusable vocabulary of identified concepts and their relationships regarding some phenomena of the world, which is made explicit in a machine-readable language. Ontologies may be regarded as advanced taxonomical structures, where concepts formalized as classes (e.g., “Actor”) are defined with axioms, enriched with the description of attributes or constraints (for example, “cardinality”), and linked to other classes through properties (e.g., “possesses” or “is_possessed_by”). The task of developing interoperable technologies (ontology languages, guidelines, software, and tools) has been taken up by the World Wide Web Consortium (W3C). These technologies were arranged in the Semantic Web Stack according to increasing levels of complexity (like a layer cake), in the sense that higher layers depend on lower layers (and the latter are inherited from the original Web). The languages include XML (eXtensible Markup Language), a superset of HTML usually used to add structure to documents, and the so-called ontology languages: RDF (Resource Description Framework), OWL, and OWL2 (Ontology Web Language). Recently, a specification to support the conversion of existing thesauri, taxonomies or subject headings into RDF has been released (the the SKOS, Simple Knowledge Organization System standard). More recent contributions at that level include the LRI-Core Ontology, the DOLCE+CLO (Core Legal Ontology), and the Ontology of Fundamental Legal Concepts (the basis for the LKIF-Core Ontology). Such ontologies usually include references to the concepts of Norm, Legal Act, and Legal Person, and may contain the formalization of deontic operators (e.g., Prohibition, Obligation, and Permission). Thus, there are many approaches to the development of legal ontologies. Nevertheless, in the current legal ontology literature there are few explicit accounts or insights into the methods researchers use to elicit legal knowledge, and the accounts that are available reflect a lack of consensus as to the most appropriate methodology. For example, some accounts focus solely on the use of legal text mining and statistical analysis, in which ontologies are built by means of machine learning from legal texts; while others concentrate on the analysis of legal theories and related materials. Moreover, legal ontology researchers disagree about the role that legal experts should play in ontology validation. Finally, the potential value to legal ontology of other approaches, areas of expertise, and domains of knowledge construction ought to be explored, for example: pragmatics and sociology of law methodologies, experiences in biomedical ontology engineering, formal ontology approaches, and the relationships between legal ontology and legal epistemology, legal knowledge and common sense or world knowledge, expert and layperson’s knowledge, and legal dogmatics and political science (e.g., in e-Government ontologies). Dr. Núria Casellas is a researcher at the Institute of Law and Technology and an assistant professor at the UAB Law School. She has participated in several national and European-funded research projects regarding the acquisition of knowledge in judicial settings (IURISERVICE), improving access to multimedia judicial content (E-Sentencias), on Drafting Legislation with Ontology-Based Support (DALOS), or in the Legal Case Study of the Semantically Enabled Knowledge Technologies (SEKT VI Framework project), among others. Her lines of investigation include: legal knowledge representation, legal ontologies, artificial intelligence and law, legal semantic web, law and technology, and bioethics. She holds a Law Degree from the Universitat Autònoma de Barcelona, a Master’s Degree in Health Care Ethics and Law from the University of Manchester, and a PhD in Public Law and Legal Philosophy (UAB). Her PhD thesis is entitled “Modelling Legal Knowledge through Ontologies. OPJK: the Ontology of Professional Judicial Knowledge”.